* What might happen in China in 2016? Millions of people being relocated from cities, fewer jobs, greater centralization, and more movie blockbusters are just some of the author’s predictions for the year. What’s in store for China in 2016? * The American hug Fundamental military alignments with US, taking place without open debate, may foreclose India’s options. Mumbai: India has become the world’s fourth largest spender on defence, following a 13.1% increase in its 2016-17 defence budget, according to US research firm IHS Inc.
How does one make sense of the current state of India-Pakistan relations? Is there an unstated, underlying storyline to the many seemingly chaotic, paradoxical and pointless events and initiatives that appear to constitute the ongoing bilateral engagement process? The first ever visit of a Pakistani joint investigation team (JIT) to the site of a terror attack in India, to investigate the assault on the Pathankot airbase, is indicative of a new-found rhythm in the India-Pakistan relationship. The domestic spaces of both countries have been restive: while India is reeling under a belligerent nationalistic onslaught, Pakistan hasn’t yet recovered from last week’s terror attack in Lahore and the siege of Islamabad by the supporters of a convicted, and hanged, terrorist. Sensationalist media on both sides continue to blame each other’s governments of fomenting trouble, and the “prize catch” of an alleged Indian spy by Pakistani agencies almost took the relationship to the precipice. And yet, the India-Pakistan relationship seems to have pulled through the rough weather. While the discreet conversations between the two National Security Advisers have established the ground rules for the engagement, the buoyancy generated by Prime Minister Narendra Modi’s visit to Lahore and the personal bond between him and his Pakistani counterpart, Nawaz Sharif, seem to have brought about a certain sense of purpose to the bilateral equation. The January terror strike was an “unsurprising” irritant, but the two sides have skilfully managed to navigate the relationship out of the Pathankot mess. Behind the wire of a secret camp on the Afghan-Pakistan border, the CIA base chief had a problem. He needed to debrief his best source, a wizened Pashtun warlord. But he wasn’t sure he could trust his Afghan interpreters. Let’s bring in Doug Laux, another American suggested. Laux, then 27, a steelworker’s son from Indiana, was one of the few CIA operators on the ground who spoke Pashto, the local language. Five minutes after they met, Laux and the warlord were holding hands and chatting like old friends. A few weeks later, the warlord called in the location of a top al Qaeda operative, who was “taken off the battlefield,” in the CIA’s euphemistic phrase for killing human targets with drone strikes. Laux didn’t weep for the dead jihadi. But now Laux - whose first-ever television interview will air Saturday on NBC Nightly News – wonders if the CIA should have done the riskier thing by capturing and interrogating the target. That sort of ambivalence dogged Laux throughout his eight-year CIA career, Laux writes in a memoir to be published Tuesday. 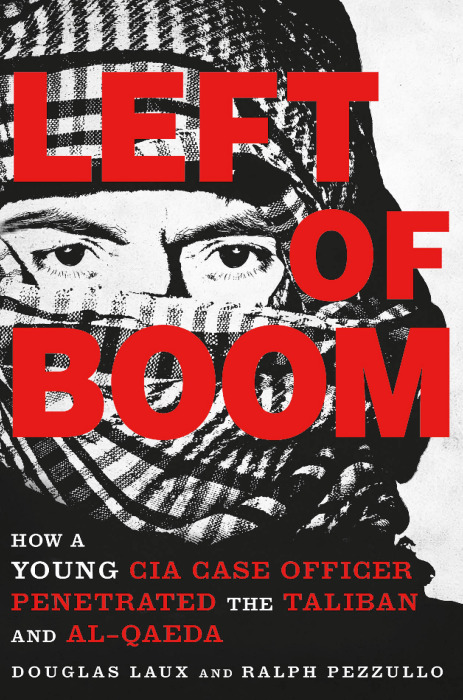 “Left of Boom” is the first inside account by a front-line CIA counter-terrorism operator of the post 9/11 generation. Madrasa muscle Jihad has made the Pakistan state powerless before the monster it has created. 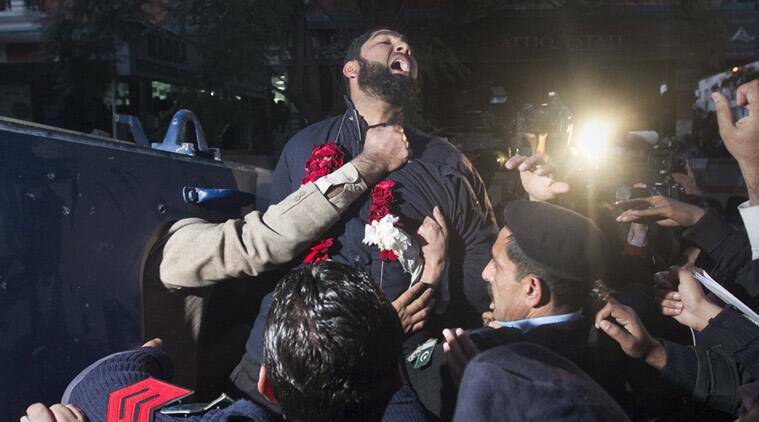 Moment of hope: February 29, Pakistan finally hanged the policeman Mumtaz Qadri who riddled Punjab Governor Salmaan Taseer with bullets in 2011. Moment of despair: March 3, a mammoth gathering mourned Qadri and buried him as a “martyr”. The state cowered as the clergy, empowered to act like warriors over many years, condemned the supreme court for allowing the hanging, instead of beatifying Qadri as a blasphemer-killing saint. The court had observed that the governor had not blasphemed, and that, even if he had, Qadri criminally took the law into his own hands and must hang for it. Five years after the killing, the masses that gathered to mourn Qadri called him a “defender of Islam” and cursed the state. At Qadri’s funeral, the mourners were around 1,50,000, frighteningly disciplined, as directed by their religious leaders. The 39 Barelvi parties, blasphemy-obsessed, were there in strength; the Deobandi jihadi seminaries, empowered by training for assaults on India and Iran, blessed it. It's déjà vu all over again. Pakistan has once again backtracked on its support for the trans-South Asian road connectivity project after suggesting that it needed more time to consider the implications of this project. And with this, Pakistan has managed to scuttle a pact that would have allowed free movement of passenger and cargo vehicles among the South Asian Association for Regional Cooperation nations. After Pakistan had refused to sign this pact at the Kathmandu summit of Saarc in November 2014, India along with Nepal, Bhutan and Bangladesh had decided to move ahead of their accord. In June 2015, these four nation states signed a landmark motor vehicles agreement for the regulation of passenger, personnel and cargo vehicular traffic among the four South Asian neighbours in Thimphu, Bhutan. This major initiative is expected to pave the way for a seamless movement of people and goods across their borders for the benefit and integration of the region, thereby galvanizing economic development in South Asia at large. India only has bilateral motor vehicle agreements with Nepal and Bangladesh but a multilateral pact would go a long way in boosting trade in the region. The agreement opens up the possibility of turning border roads into economic corridors which could increase inter-regional trade within South Asia by 60 per cent. It's time to harden defenses against hackers seeking data and state-owned companies buying up key suppliers. Our defense industrial base depends on supply chains freely moving into and through the U.S. But while adequate cybersecurity safeguards are in place to protect our most advanced defense systems, the movement of cargo in and out of U.S. ports and the technology that powers our broader defense industrial base is less vigorously defended. This constitutes a critical vulnerability that our adversaries routinely exploit. John Adams, a retired U.S. Army brigadier general, is the president of Guardian Six Consulting and a former deputy U.S. military representative to NATO's Military Committee. As China develops a modern, indigenous defense industrial base, it endeavors to better understand our own. Studies by the RAND Corporation have found that the People’s Liberation Army (PLA) is studying the logistical patterns of the U.S. military, as their Army, Navy, and Air Force face persistent challenges in logistics and maintenance as they seek to expand operations beyond their territorial waters. The Chinese intend to close this capabilities gap by any means necessary. Today, subcontractors in the logistics and cargo distribution industry are top targets for network intrusions. A 2014 probe by the Senate Armed Services Committee revealed that the Chinese government had hacked more than 20 transportation companies that serve U.S. Transportation Command (TRANSCOM). Even more disturbing, the Defense Department was aware of only two of these attacks. Gregory Kulacki is China Project Manager for the Union of Concerned Scientists. An expert on cross-cultural communication between the United States and China, he has promoted dialogue between experts from both countries on nuclear arms control and space security. China’s previous political leaders believed prudence demanded they wait and ride out a nuclear attack—should it come—before retaliating later at a time and place of their choosing. Their strategic patience was celebrated, at home and abroad, as a responsible expression of confidence that would discourage any enemy, including the United States, from attacking China with nuclear weapons in the first place. In a tragic example of foreshadowing, French Minister of the Interior Bernard Cazeneuve stated in remarks at theGeorge Washington University earlier this month that the terrorist threat level had never been so high. Last week’s attacks in Brussels plainly reinforce the point while begging the question of how they were possible. The city is, after all, home to a throng of European Union entities and other international organizations such as NATO, which are not the softest possible targets. The latest attacks place at the top of the Belgian and European agendas the matter of how best to proceed. Clearly, the status quo isn’t working — and we say this with all due regard for the dedicated efforts of counterterrorism officials who have been applying themselves to an increasingly large and complex problem. News from the Middle East has focused attention among policy makers over the past five years. The rise and fall of the Arab Spring, the slow dissolution of Syria, conflicts rising in Yemen and Libya and, of course, the rise of the so-called Islamic State in Iraq and Syria all play a part. Through all of this, American policymakers, as those elsewhere, have worked to find targeted responses to events -- ideally to defuse conflict, but where necessary to manage or contain it. However, a far bigger and more fundamental strategic change has been taking place: the re-emergence of Iran into the international community. The consequences of this change will be profound, and yet many in Washington have been blind to them. While the rising tensions between Saudi Arabia and Iran over the last few days should have clarified the importance of Iran's regional rise, the proverb "See no evil, hear no evil, speak no evil" seems still to be Washington's overriding response. A little more than 60 miles from Brussels Airport, Kleine Brogel Air Base stands as one of six overseas repositories in the world where the United States still stores nuclear weapons. The existence of the bombs is officially neither confirmed nor denied, but it has been well-known for decades. Yet the presence of these weapons — an estimated 20 American B61 nuclear bombs to be carried and delivered by the Belgian Air Force’s dwindling inventory of F-16 fighter jets — did not come up in the news coverage following the Islamic State (IS) bombings last week in Brussels, or in the run-up to President Barack Obama’s fourth and last Nuclear Security Summit, being held this week. Russia has deployed at least one Iskander missile system to its Humaymim Air Base in Syria, although it is unclear if it is the ballistic or cruise missile variant. The Iskander transporter erector launcher (TEL) was spotted in footage broadcast by Russia’s Zvezda TV channel on 27 March. The system could be seen on the east side of the runway at Humaymim as an An-124 transport aircraft took off from the base. The TEL, which is 13 m long, can be seen at the same location in Airbus Defence and Space satellite imagery taken on 20 March. Like numerous other Russian military systems, the Iskander is mounted on an 8x8 MZKT-7930 chassis. However, the one at Humaymim does not match any other known systems, including the K-300P Bastion-P anti-ship missile system, which is in Syrian service. The superstructure needed to accommodate the Yakhont missiles launched by the Bastion-P is notably longer than that of the Iskander. The past century has been one of unprecedented global population growth. While the number of people in the world doubled from 0.8 to 1.6 billion between 1750 and 1900, the 20th century saw a near quadrupling to 6.1 billion. In the past 15 years alone, more than 1.2 billion have been added to that. Worries about "overpopulation" can be seen everywhere from the UK to Sub-Saharan Africa. So it may have been a surprise to some to see Japan, the world's third largest economy, posting the first population decline since 1920, falling 0.7% from five years earlier. A persistently low birth rate is the main reason. LinkedIn is the stodgy, respectable sibling to the business-casual feel of Facebook or the teens-past-curfew chic of SnapChat. Filled with work-centric blogposts aimed at thinkfluencers and colleagues, the network is a soft, focus-grouped level of gray, as thrilling as a watercolor conversation about quarterly reports. That blandness is deceptive: sometimes people’s resumes reveal secret programs, like that time the NSA used submarines to splice into underwater cables. Minor, resume-building stuff. The Pentagon's future weapons and technology strategy is referred to as the "Third Offset." There’s been a lot of talk about a Third Offset Strategy at the Defense Department lately. It’s part of Defense Secretary Ash Carter’s plan to make sure the U.S. military remains the world’s finest fighting force. The Third Offset Strategy has a number of parts to it, so at first glance, it may appear complicated. Lucky for you, my job was to break down some of the more technical aspects into layman’s terms. Kingston Reif says nothing new in his recent article at War on the Rocks, in which he argues that the United States should not invest in a new air-launched nuclear cruise missile. We’ve heard this all before from the disarmament community’s view. Unfortunately, Reif distorts the realities surrounding the military’s development of a necessary capability for nuclear deterrence. In Reif’s article, advocates for a robust nuclear deterrent are reduced to rabid planners who “make a hoarder seem frugal” with their nuclear funding demands, supporters of a weapon system rather than defense professionals within the Pentagon’s acquisition program. We are dismissed as “devotees” of the missile, as if we were worshipers of a South Pacific cargo cult and not serious defense analysts. Earlier this year, we marked the 25th anniversary of the Gulf War and the beginning of 25 years of continuous U.S. military operations in the Middle East. Many forget the beginning of this involvement: Saddam Hussein invaded Kuwait because he thought that he could get away with it. Hussein, however, was wrong. An international coalition led by the United States pushed his forces out of Kuwait. Was the problem a failure of communication? And if so, was it possible to correctly communicate to Hussein that the United States would respond with force if he invaded Kuwait? While some would argue that better cultural understanding would have made the difference, it is likely that the strategist will always struggle to get inside the enemy’s head. The challenge for any analyst or practitioner of strategy lies in coping with the reality that strategy nonetheless demands that we try. New Release: ATP 1-23.4, Techniques for Effective PowerPoint (1 April 2016). ATP 1-23.4 provides detailed techniques for developing dynamic presentations to win in a complex world. ATP 1-23.4 establishes the Army Tenets of PowerPoint, providing the intellectual foundation and framework for knowledge transfer from speaker to audience. It also provides staff officers the tools to mystify and amaze senior raters with colorful pics, humorous animations, moving bubbles, and embedded bangs at the joint, combined, and service levels. The target audience for this publication is Soldiers and staff officers responsible for providing “I’ll know it when I see it” products to satisfy even the most discerning of leaders and disinterested audiences. Russian forces could reach the outskirts of the Baltic capitals in less than 60 hours because Nato lacks the forces to defend its eastern-most members, new analysis has shown. According to several war games scenarios conducted by a US think-tank, it would take between 36 and 60 hours for Russian battalions to occupy the Estonian and Latvian capitals of Tallinn and Riga. It highlights, the report says, how ineffective Nato's forces have become, as they would be entirely under-prepared for any potential attack launched by Moscow. The report comes amid rapidly declining relations between Putin and the West. The opinions expressed in this article are the author’s own and do not reflect any official capacity or position. In spite of fundamental changes in the security environment from 1989 to the present day, Galvin’s description of a military strategist remains as equally true now as it was then. Chilcoat envisioned three roles for those responsible for strategic art: strategic leader, strategic practitioner, and strategic theorist. While those three roles overlap each other, they are all skills that require long study and development over a career. More troublingly, he also observed that the U.S. Army’s officers were reluctant to look outside of their tactical comfort zones, compounded by a lack of understanding of the other instruments of national power, reinforced even further by a career path that overwhelmingly weighted tactical experience above all others up to that point. [vi] Chilcoat’s observations of those officers’ shortfalls in strategic art were undoubtedly a function of his own observations of students at the U.S. Army War College, but also during his previous assignments at Headquarters, Department of the Army and at the Joint Staff. In 1998, the U.S. Army, recognizing the limitations of the additional skill identifier 6Z officers in the force, introduced a new functional area called Strategy and Force Development as part of Officer Professional Management System XXI, the redesign of its personnel system. By 2000, that functional area had been split into two parts, the second of which was designated as Functional Area 59, or Strategic Plans and Policy, its first cohorts arriving in 2001. That career field effectively became a body of general staff officers who were specially trained in the conduct of strategic art. [vii] Those officers would in turn serve as trusted advisors and practitioners for those commanders who may not have had the same kind of formal training, but were responsible for leading units through situations where tactics alone were not enough. U.S. military combat operations since 2001 offer examples of shortfalls in policy, strategy, and operational art, one of the most disastrous was related to the establishment of Combined/Joint Task Force-7, near the outset of Operation IRAQI FREEDOM. The joint task force was formed around V Corps, a unit that had been organized and trained primarily for large unit tactical operations. When its higher headquarters at the Combined Forces Land Component Command was broken up at the nominal end of major combat operations in May 2003, V Corps was left as the nucleus of Combined Joint Task Force-7. In the absence of any other headquarters short of U.S. Central Command, the joint task force’s responsibilities spanned theater strategy, operational art, and tactics. Instead of the bevy of talent that had been provided for its previous higher headquarters, the joint task force headquarters was heavily under-resourced with structure and personnel, to include its commander Lieutenant General Ricardo Sanchez, the most junior officer of that grade in the U.S. Army at the time, who had served predominantly in tactical assignments. One of the first documents to highlight those shortcomings was Decade of War, Volume I, produced by the Joint and Combined Operational Analysis division of the Joint Staff J-7 Directorate. Among its observations was one on the strategic failures of conventional combat operations early on in Iraq and Afghanistan, and the need for a broader response than what the military was prepared to provide. A related, but more pointed observation cited that “failure to adequately plan and resource strategic and operational transitions endangered accomplishment of the overall mission. While military forces were well-prepared for combat operations, they were not well-prepared to integrate non-military instruments of national power. [ix] While some of these failures stemmed from drastic failures of policy, a cultural bias on tactical operations within the U.S. military delayed the adaptation to the circumstances that occurred in both Afghanistan and Iraq. These historical anecdotes are but samples for a general observation that a singular focus on tactics and military operations alone does not enable attainment of the strategic ends that are inherently the servant of policy. Instead, a broader set of education, training, and experience is needed to develop the skills necessary to bridge military strategy upwards to policy and downward to operational art. By design, these general competencies are not intended to be the same as the core competencies of a Functional Area 59 Strategic Plans and Policy officer. While that career field exists specifically to address those general competencies, the role of a military strategist is not necessarily limited to general staff officers. Indeed, given that future commanders will be drawn from what the U.S. Army calls basic branches (or regiments in Commonwealth militaries), the general competencies of a military strategist span any officer career field. Given the increasing civilianization of defense establishments, it is also possible that some of these functions may also be performed by career civil servants, such as the U.S. Army’s Career Program 60, many of which are former strategic plans and policy officers. It is critically important to distinguish between training and education, a distinction that certainly receives too little attention in the U.S. military. Training emphasizes the employment of established procedures and skills that are applied against circumstances that are usually known. Not surprisingly, training is seen to have immediate utility, and is easy to justify, especially when resources are constrained. In contrast, education emphasizes the application of intellectual and cognitive skills to address circumstances that training cannot. In contrast to training, education often appears to have little direct relevance to immediate demands, and is sometimes seen as an ornament. In general, the demands of tactical operations heavily emphasize training to address the known, while the demands of strategy heavily emphasize education to address the unknown. The development of a military strategist normally rests upon three foundations: civilian education, professional military education, and relevant experience. The three complement each other in providing the intellectual and experiential basis for greater facility with military strategy. Civilian education is foundational knowledge for a military strategist. It provides the intellectual basis to address the unknowns that training, doctrine, or experience cannot answer. Professional military education contextualizes civilian education in a common framework for application. Finally, relevant experience is the crucible for a military strategist’s application of civilian education and professional military education. It is where the theory and practice come together in the application of military strategy. Without the foundations provided in civilian education and professional military education, relevant experience is brittle, with little utility outside its immediate circumstances. It is for that reason that experience exclusively at the tactical level is not always relevant, and may even be counterproductive in the conduct of policy, strategy, or operational art. The development of military strategists, like any other discipline, must occur over time. It is unrealistic, if not dangerous, to think that a military strategist will emerge from a lifetime of service spent overwhelmingly at the tactical level, then become a competent strategist solely through reasoning by analogy. Similarly, it is equally unrealistic that a competent military strategist can be developed overnight from civilian and military education alone. Rather, characterizing the professional development of a military strategist can be done through four developmental milestones: untrained, apprentice, journeyman, and master. These milestones are not tied to a given rank, but to the capabilities that he or she brings and provide an indicator of relative capability among military strategists. While such a statement may be considered heretical, it is entirely possible that a commander, who will have had to alternate tactical command and staff assignments with those developing strategic art, may be a less experienced strategist than some of his staff. It is in that capacity that strategic plans and policy officers become critically important general staff officer advisors to their commander. The untrained military strategist is typically in their first assignment in a strategic art capacity. While he or she may be a graduate of a program that teaches strategic art, such as a senior service college, the U.S. Army’s Basic Strategic Art Program or the U.S. Air Force’s School of Advanced Air and Space Studies, it is more likely that the untrained strategist will have only instruction focused on operational art, such as the U.S. Army’s School of Advanced Military Studies or the U.S. Marine Corps’ School of Advanced Warfighting. In some cases, those officers may only have the benefit of elective coursework offered at the staff college level such as that required for the 6Z additional skill identifier. [xviii] At this point, the untrained military strategist lacks the relevant experience to properly contextualize what basis may have been received through professional military education. He or she may be cognizant of the relationship between strategy and policy, but may not recognize the implications between the two. The untrained military strategist should be proficient with the conduct of deliberate planning processes at tactical level such as the U.S. Army’s Military Decision Making Process, but will not likely be familiar with planning methodologies as they apply to joint forces. He or she may be aware of the linkage of strategic ends to operational planning, but cannot yet articulate the linkage between the two. The untrained strategist can participate as a member of a strategy working group or operational plans team but does not have the capability or skills to lead it effectively. Written and oral communication skills are commensurate with the staff college level, but the untrained strategist will require substantial guidance to distill strategic concepts into short papers. One hazard for the untrained strategist is the trap of trying to reason through strategic issues by tactical analogy without considering the factors that affect strategy. The hazard exists because he or she will not have had the experience to inform judgment at that level. The apprentice military strategist will have served one or more assignments in one of the general competencies (policy, strategy, or plans) in either an institutional or operational setting. He or she will have completed a formal training/professional military education program in strategic art and may hold an advanced degree in a strategy-related field. The apprentice can clearly draw the relationship between strategy and policy or operational art and strategy. The apprentice should be proficient with both service and joint planning methodologies and capable of leading small groups to address strategy or campaign planning problems. They will have conversancy in one of the general competencies of a military strategist, and are aware of the others. The apprentice must be a strong writer, capable of writing commensurate to the senior service college level, and should be able to deliver briefings to general officers at the joint task force level. He or she still requires additional guidance to consider the full scope of a problem, whether related to policy, strategy, or operational art. The journeyman military strategist will have served in sufficient assignments to gain fluency in two or more military strategist general competencies. He or she will have completed multiple training programs in strategic art and holds an advanced degree in a strategy-related field. The journeyman may be a subject matter expert in one or more of the general competencies (possibly at the expense of others) but is now capable of leading strategy development or campaign planning efforts. He or she will clearly be able to identify strategic implications across the general competencies ranging from policy to operational art. The journeyman must be familiar with joint, interagency, and multinational structures, and will often have had a developmental assignment in one of those organizations. They will be familiar with the entire joint force and its capabilities but may not be able to articulate the reasons why certain services or organizations approach strategic issues the way they do. He or she has strong oral and written communication skills, and is fully capable of distilling staff products for general/flag officer consumption, as well as advising untrained or apprentice military strategists. The journeyman is capable of limited predictive analysis spanning multiple general competencies. The master military strategist will have been educated in multiple academic disciplines, giving a wide range of intellectual methodologies. He or she will have experience in all three general competencies, in both operational and institutional settings, and can oversee multiple groups in the conduct of campaign planning or strategic art, or inform policy formulation at the national level. They will have a solid basis in the theory, doctrine, and practice of policy formulation, strategy development, and operational art, and can clearly articulate the implications across all the general competencies. He or she is fully familiar with not only with operational planning methods such as the U.S. military’s Adaptive Planning and Execution system (formerly the Joint Operations Planning and Execution System), but also strategic planning frameworks like its Joint Strategic Planning System and the Defense Acquisition System. The master strategist clearly understands and can predict the effects that operational and institutional strategy and campaigning will have on each other. Commensurate to their abilities and background, he or she will routinely write and speak for 4-star general/flag officers serving as service chiefs, unified combatant commanders, or national-level joint task force commanders, or their civilian equivalents. In spite of the changes in the security environment and the adversaries that the United States has faced since the end of the Cold War, the role of the military strategist has not changed. In the U.S. Army, that role is not limited solely to career Strategic Plans and Policy officers who are specially trained and educated in strategic art, but must also include future general officers who will become the ones charged with making decisions that reach into future decades. The identification of military strategists by milestone offers two benefits, one inward, one outward. Internally, this framework can guide the individual career development of those officers who will be responsible for the planning and conduct of policy formulation, strategy development, or campaign planning, whether they occur in an institutional or operational setting. Looking outwardly, that framework can provide a resource to enable the employment of the military instrument of national power in a manner that is strategically effective. Ultimately, building true military strategists cannot occur overnight, and certainly not through the hasty application of tactical reasoning by analogy. In light of Chilcoat’s roles for military strategists, namely the strategic leader, strategic practitioner, and strategic theorist, master strategists must be capable of all three, and inappropriate employment of tactical thinking against strategic problems is a recipe for failure if not disaster. While the skillful practice of policy guidance, strategic art, and operational art is no guarantee of strategic success, the absence of such competent practice virtually guarantees that the military instrument of national power will not best serve its nation’s interests. Military strategists, properly developed, are a hedge against that outcome.